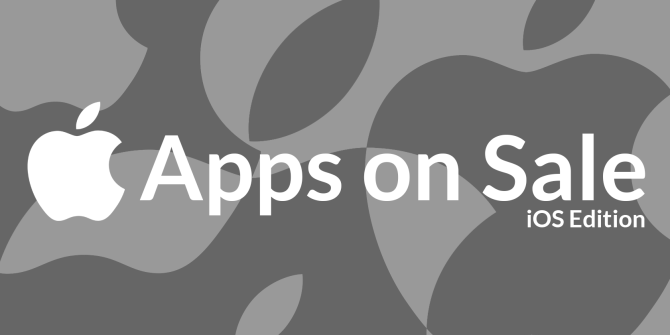 Every week thousands of apps are put on sale, but the vast majority aren’t worth your time. Cut through the rubbish, let us bring you the week’s best deals every Friday. Today there’s a big skyward push with astronomy apps and flight simulators featuring prominently alongside a golden RSS app, and arcade classics both old and new. Let’s take a look. As anyone who saw the BBC’s Wonders of the Universe can attest, Brian Cox knows a thing or two about space. He’s also particularly engaging, and that translates to both the big and small screens. Relive the series, learn more about the cosmos and save some money at the same time. One of the finest astronomy apps available for iOS, Star Walk is a star gazing app that uses augmented reality to overlay a star map on your iPhone or iPad. Both versions of Star Walk are packed full of information about the sky above, celestial bodies as well as a telescope companion mode. A popular RSS solution for Mac OS X, NewsBar RSS is also available for iPad and iPhone as a universal app. Here it is in all its feed-devouring glory at 50% its usual price for a limited time. It’s a powerful package – zero-config iCloud syncing, support for “Open with…” of RSS feeds from Safari and iOS 7 background refresh are just the start. The App Store App of the Week, PAC-MAN is completely free for seven whole days. Who doesn’t enjoy an occasional game of PAC-MAN? It’s the ultimate five minute timewaster, so surely you owe it to yourself to download this. Puddle is a physics puzzler in which you must safely transport liquid past a range of obstacles. Played using tilt controls, the app features water, oil, nitroglycerin and molten lava among others. Each liquid reacts differently to your tilt and the various objects along the way – grab it for free now. Take to the skies in the ultimate World War II air combat experience. Real-world locations, historic battles and a huge fleet of planes await, as well as a robust control scheme and a huge number of online multiplayer modes. Sky Gamblers is optimized for play via AirPlay on the big screen. Much like Storm Raiders above, Cold War is another release in the Sky Gamblers series that packs in the content. Featuring a dozen Cold War-era Soviet and US planes, console-quality graphics and hours of single player and multiplayer game modes, Cold War is another steal at $0.99. A modern arcade classic, Mr. Crab fuses careful timing with vertical gameplay in a game that has you jumping your way to the top. Delightful graphics, slippery enemies and 27 levels await in this fast-paced spin on the endless runner genre. Hopefully there’s enough astronomy apps and flight sims here to keep your head in the clouds till next Friday for more Apps on Sale. Wonders of the Universe is $5.99 in the US store.